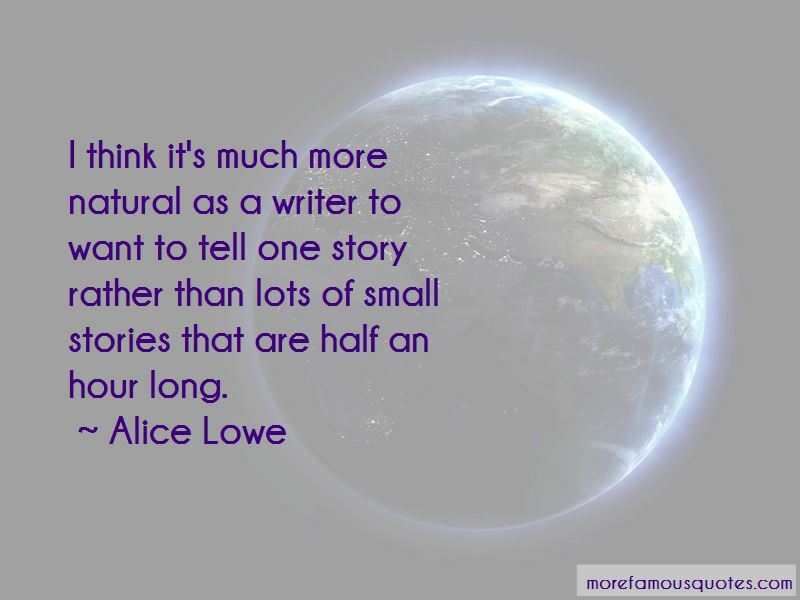 Enjoy the top 40 famous quotes, sayings and quotations by Alice Lowe. I don't have kids, a mortgage, or a car. That has let me hold out for the jobs I want to do, and to sit in a cold room in the winter with fingerless gloves, writing. There are some things that as an actor scare you, and if you can capture that fear on screen, it will be interesting. One thing about television in Britain is that they're so scared about complaints. It curbs a lot of drama. If you're funny as a woman, people think it might be because someone else helped you. 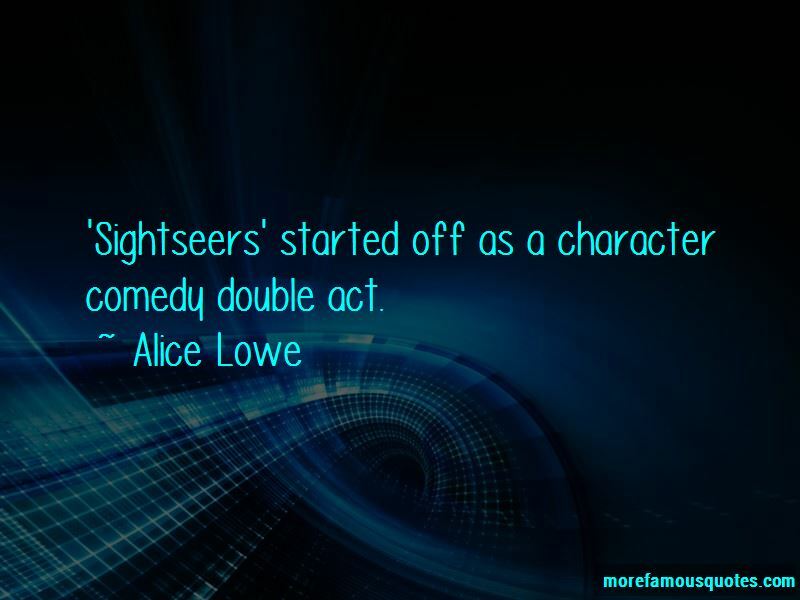 We pitched 'Sightseers' as a TV idea originally, and it was rejected because it was too dark. But then things like 'Dexter' came out, 'Breaking Bad' ... There are so many sophisticated dramas now with comic elements to them. 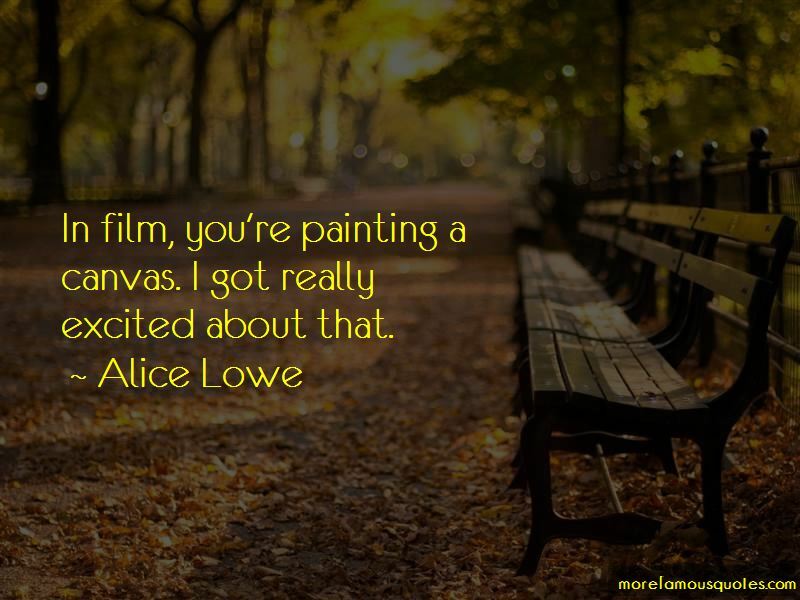 Want to see more pictures of Alice Lowe quotes? 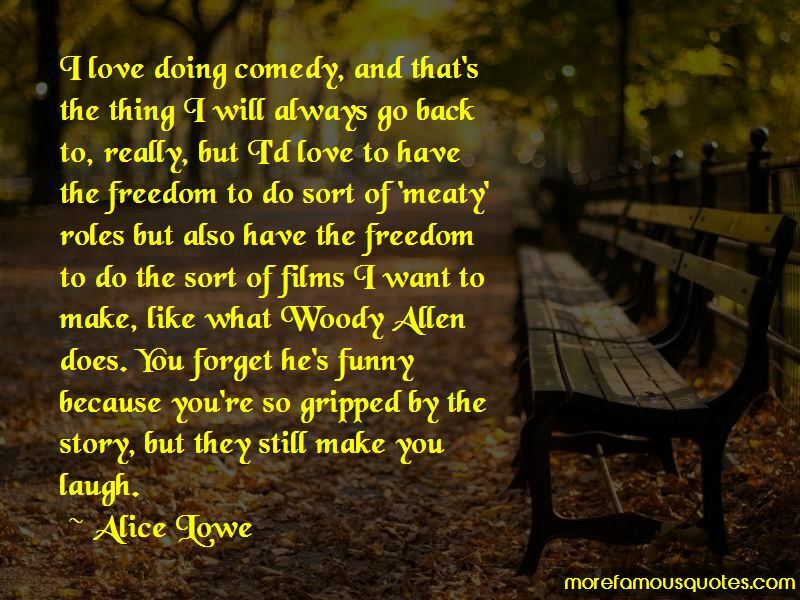 Click on image of Alice Lowe quotes to view full size.